This month’s tipsheet focuses on copywriters and digital marketers. As the fashion industry (and every other) increasingly move to online spaces the need for Web support increases daily. 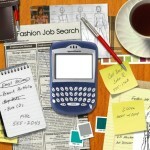 These are great opportunity for those with several years of online experience plus a true interest in fashion. Good luck! This individual must be both strategic and tactical with superb writing skills and the ability to drive the engagement strategy across all channels including Facebook, Twitter, YouTube, Foursquare, Digg, various blogs and other social media and geo-social initiatives/programs/communities. Great communications, marketing, and creative thinking skills for online purposes are a must along with the ability to multi-task and thrive in a fast-paced collaborative environment. This is a highly visible role in a newly formed team reporting to the Executive Vice President of Interactive & Creative Services. •	Drive/own social media innovation and stay on top of emerging technology and new media trends to better reach key audiences and engagement. More info and apply here. Amazon.com is searching for a visionary Lead Fashion Stylist with deep experience styling on-figure apparel in a commercial photography studio environment. The Lead Fashion Stylist will be setting the visual standards for merchandising throughout our apparel operations, implementing continual style improvements and production efficiencies for a global team with multiple studios.This role represents an unequaled opportunity to remake the fashion retailing landscape for a uniquely talented Stylist with a proven track record of management, leadership and innovation at the highest levels of the fashion industry. Endless.com is looking for a seasoned creative writer with demonstrated experience creating consistently high-quality, on brand fashion copy. The candidate must possess a passion for and knowledge of shoes and fashion retail. This role is a great opportunity to work with a dynamic team to grow the endless.com business and establish an authorittive brand voice while offering relevant fashion advice and guidance to our customers. We are currently seeking a full time entry level Web Copywriter for our home office, which is located in the Houston Heights. This position is responsible for producing web content, writing descriptions for online products, and updates on blog and social networking sites. Responsible for writing fun, unique, accurate and high quality descriptions of merchandise for the website including: dresses, tops, purses, jewelry, & shoes. Upload & assign images for online products. Assist in merchandising & organizing online product. 1. Working dynamically with the Creative and Marketing teams to drive CRM segmentation and 1:1 communication strategies. 2. Executing annual CRM marketing plan and budget. 3. Analyzing customer segments/segment performance and developing client segmentation strategy. 4. Managing overall client marketing contact strategies, including retail marketing events. 5. Evaluating the potential of a loyalty program, including retention and acquisition. 6. Planning and executing an intelligent, sophisticated, and edgy interactive marketing strategy to maintain brand positioning. 7. Building and maintaining the content distribution network by way of multiple social media channels. 8. Interacting with the company blogger to develop social media, email campaigns and other interactive marketing content. 9. Managing and analyzing campaigns on a weekly/monthly basis and translating anecdotal or qualitative data/ROI into recommendations and plans for revising future interactive/social media campaigns. 10. Uploading all digital content on a timely basis to Vimeo, YouTube, VNet, the JV website and Facebook.